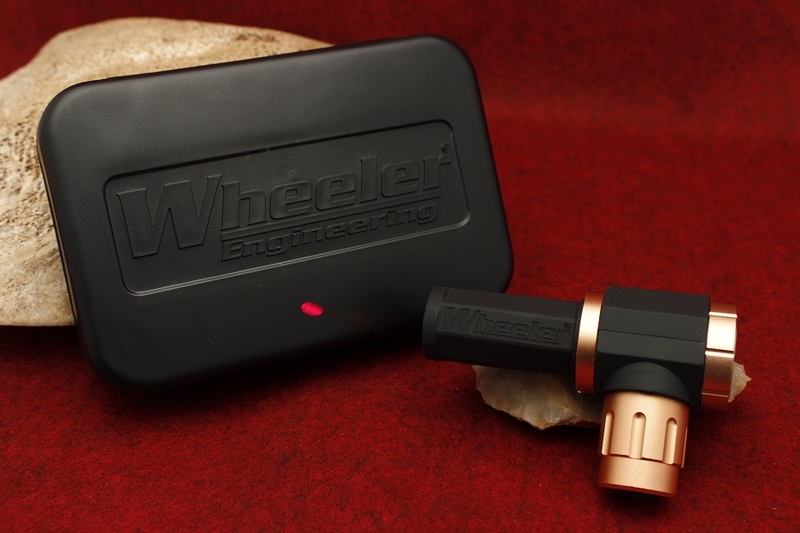 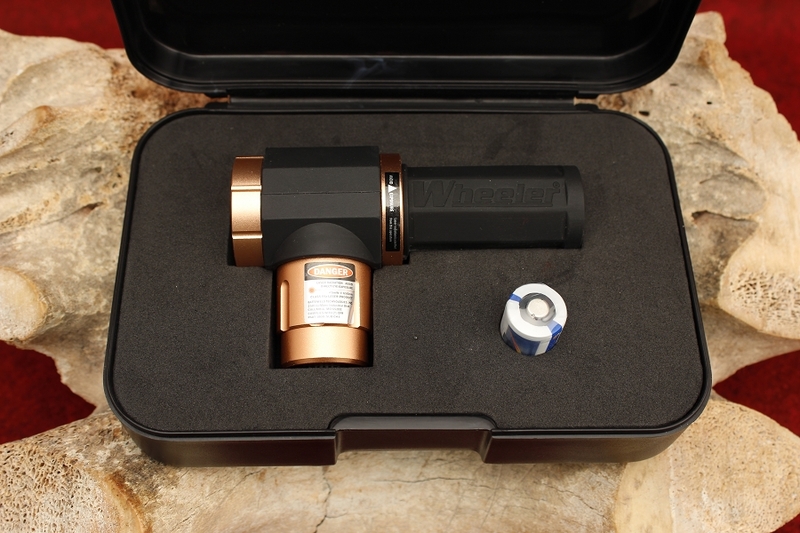 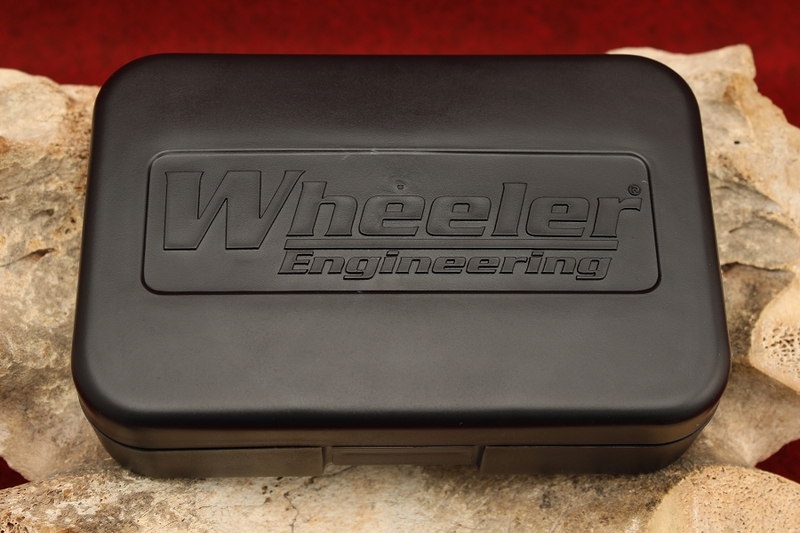 This Professional Laser Bore Sighter by Wheeler Engineering® uses a high power red laser and a high-strength magnetic connection to the barrel to deliver fast accurate bore sighting. 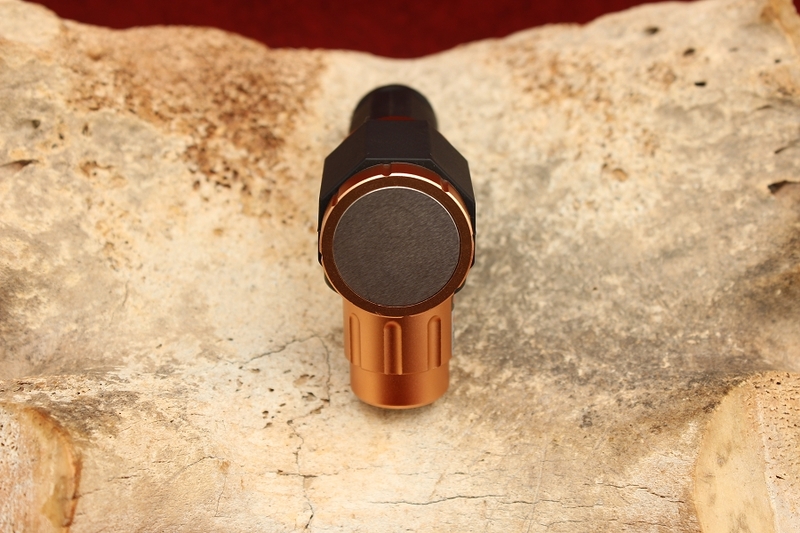 It works essentially with all firearms; rifles, shotguns, handguns. 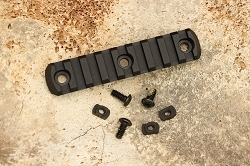 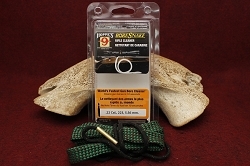 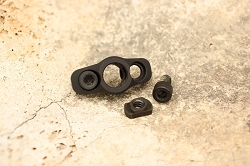 The magnetic connection to the end of the muzzle provides more precise alignment with the bore without the risk of damaging the bore, compared to arbor style bore devices. 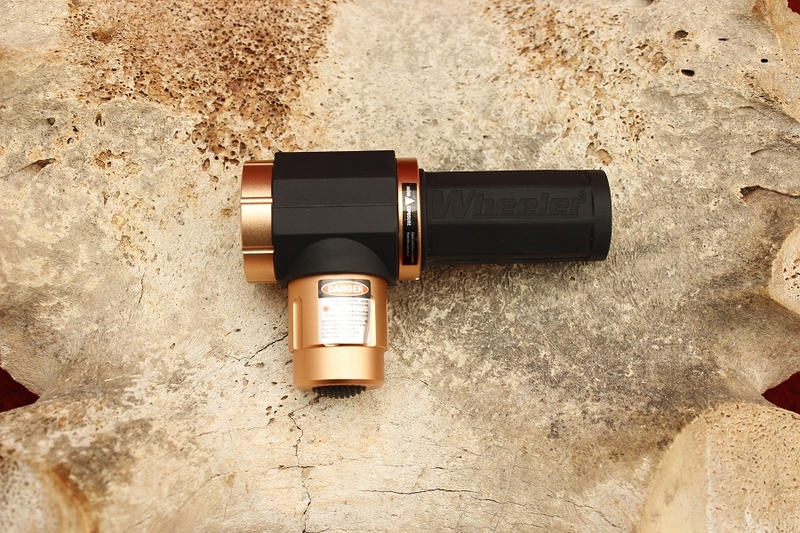 It has a machined aluminum body with soft rubber over-molding houses the laser module. 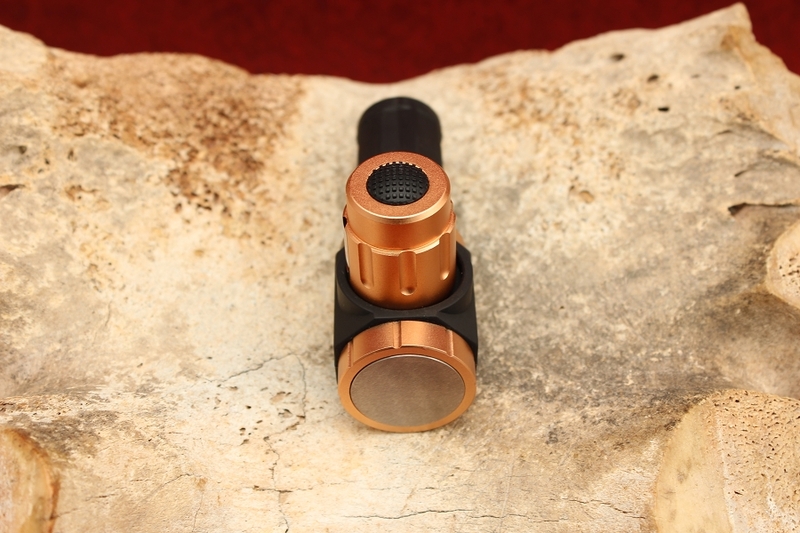 Each unit is hand tuned during the manufacturing process with an innovative calibration mechanism. 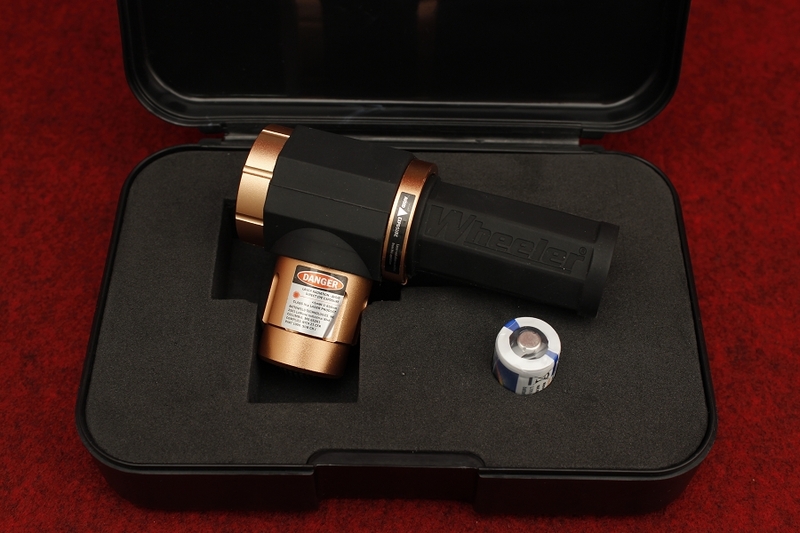 This allows for maximum precision, thus ensuring the best bore/optic alignment possible. 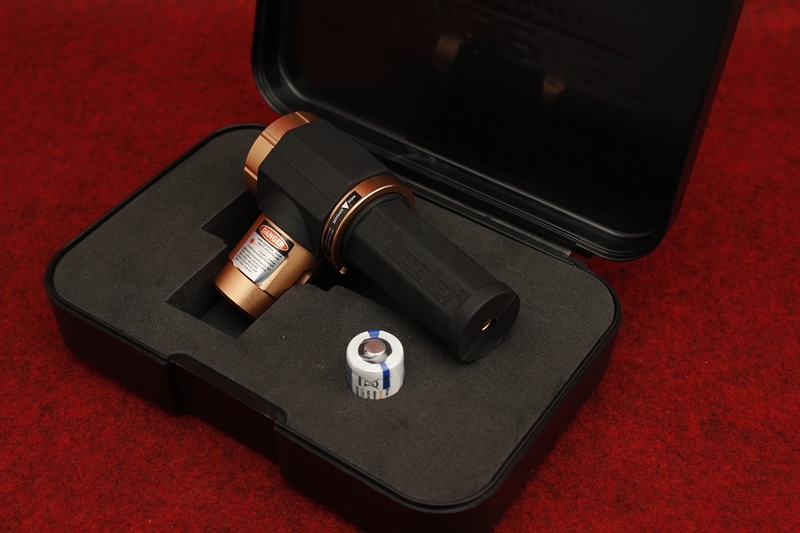 Once precision calibration is completed the laser module is permanently secured in place ensuring reliable performance and durability. 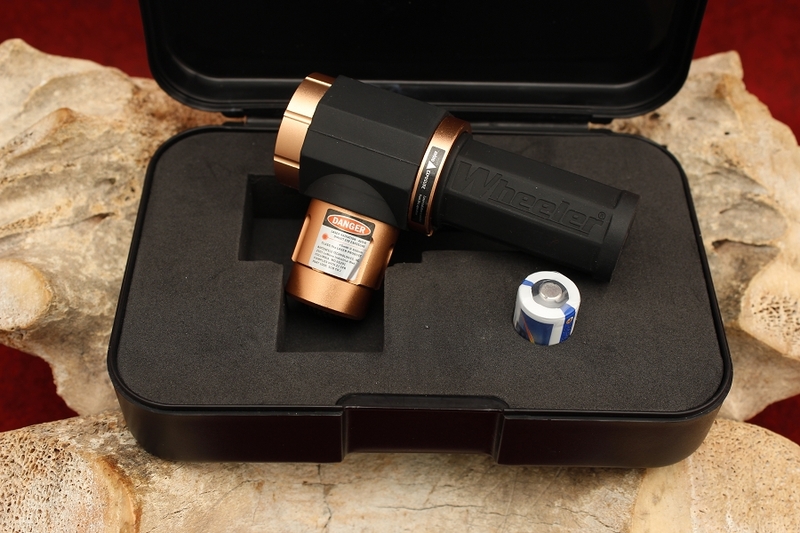 Makes initial scope adjustment simple, fast and precise. 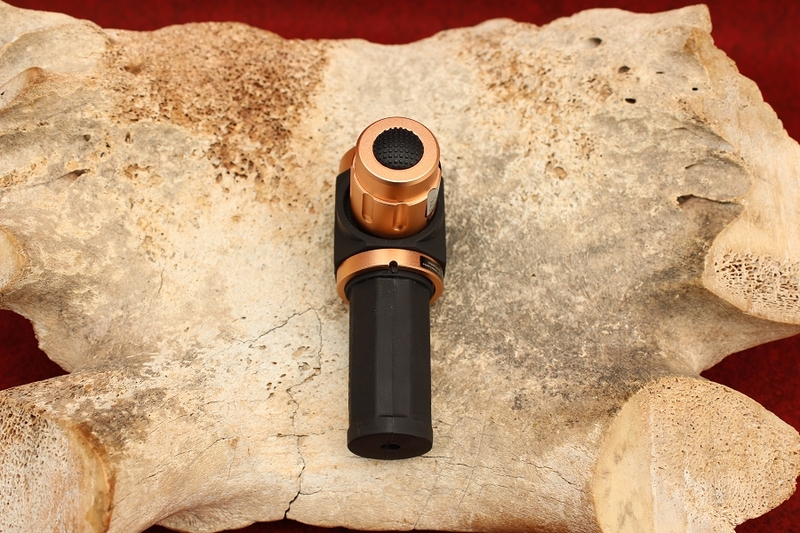 Installation and removal of the laser unit could not be any simpler with the very strong magnetic connection to the muzzle of the barrel. 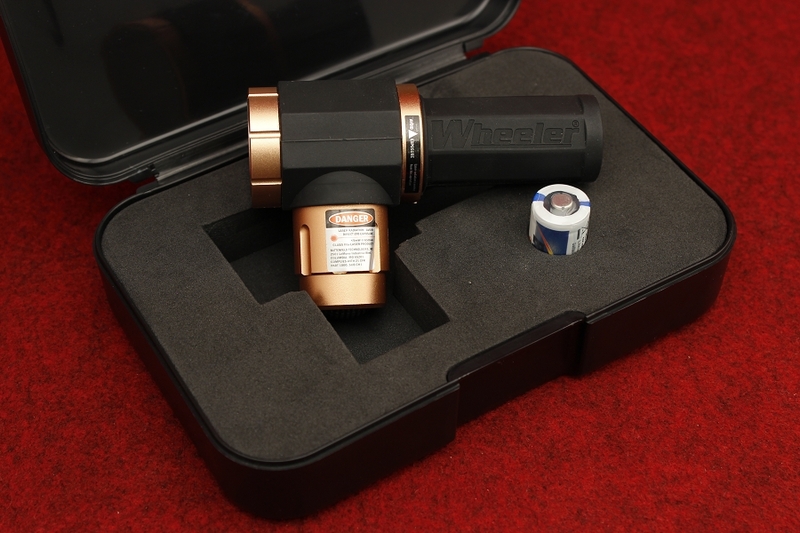 The bright red laser is very clear and makes sighting the rifle very simple and accurate. 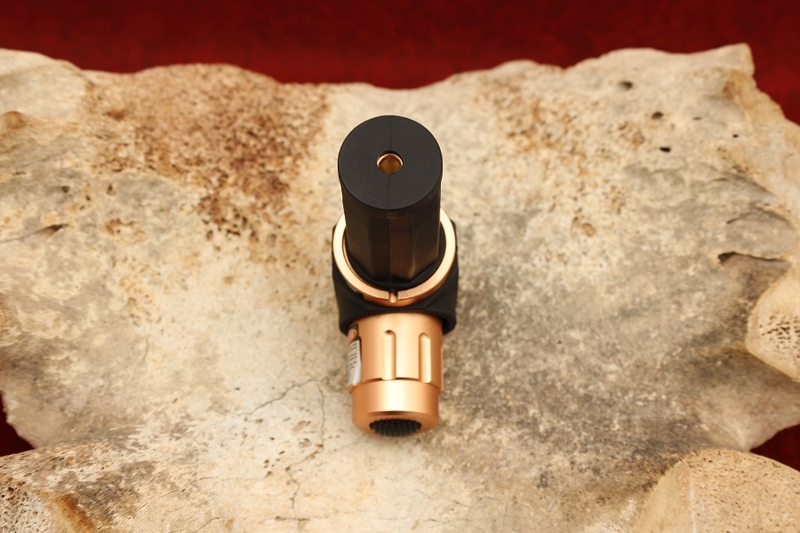 When using this product be sure that the scope is zeroed prior to mounting.